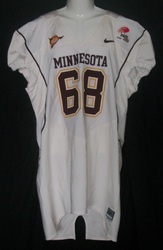 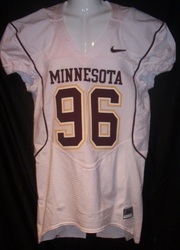 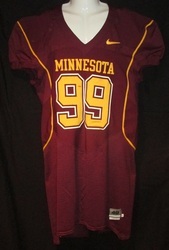 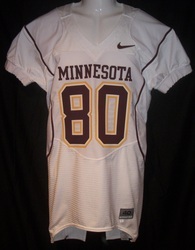 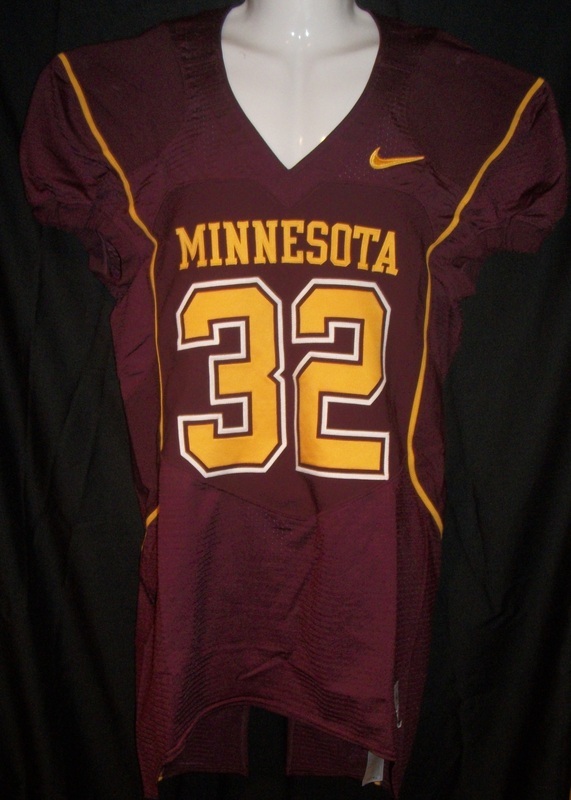 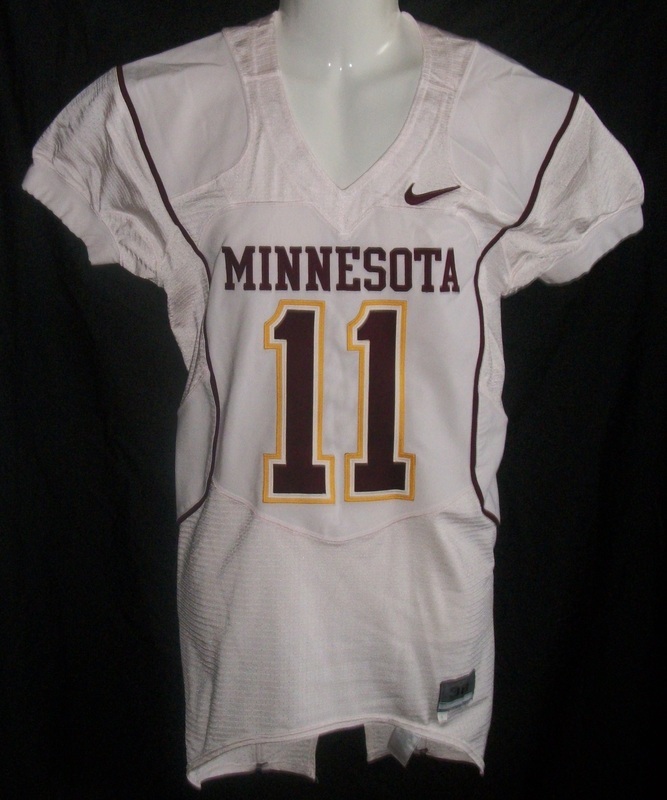 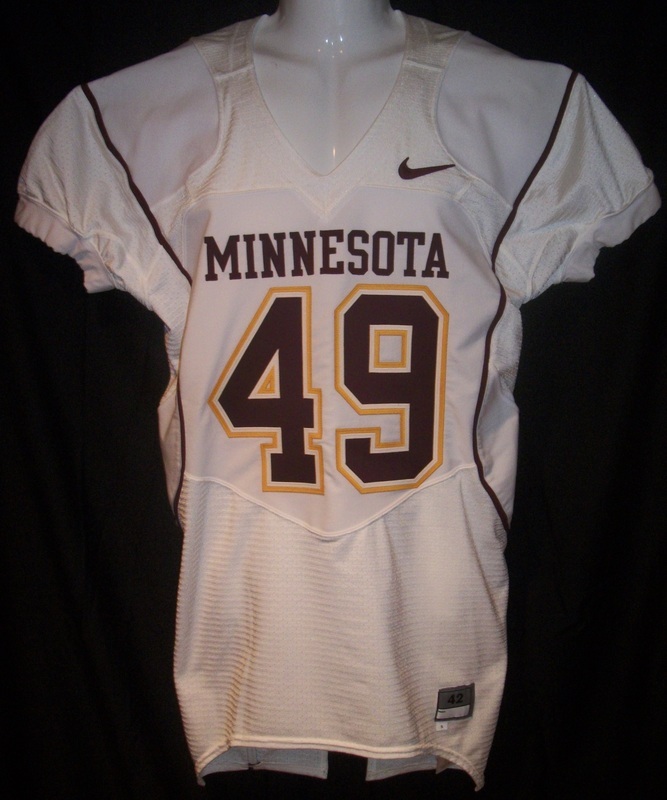 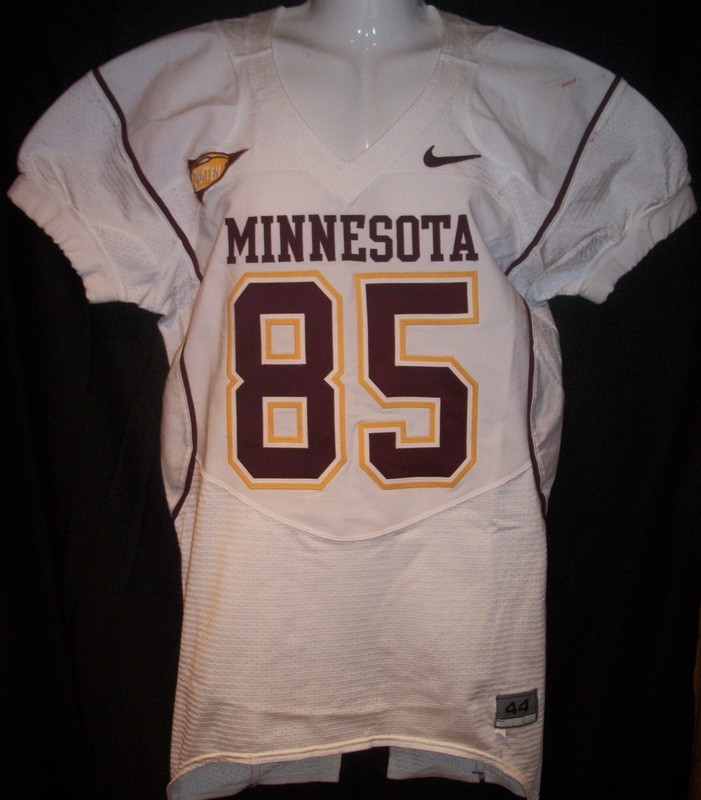 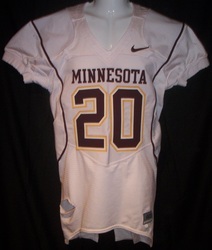 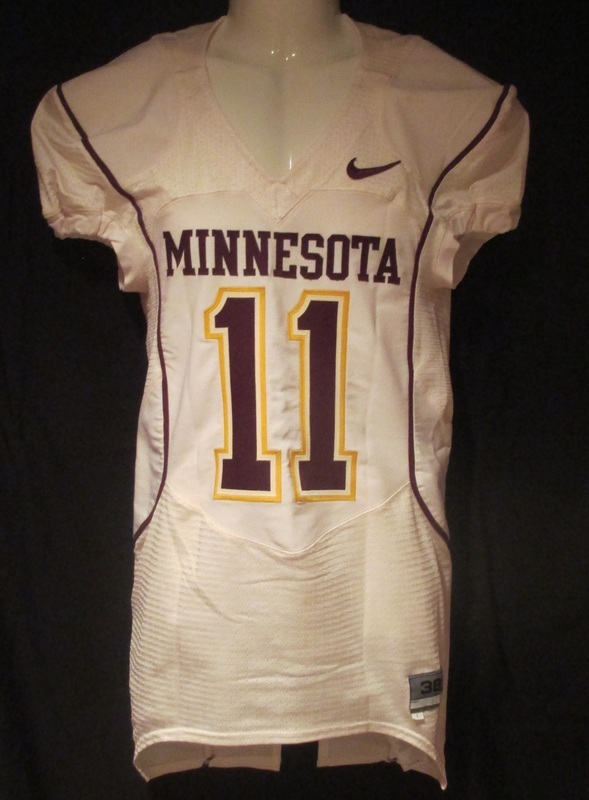 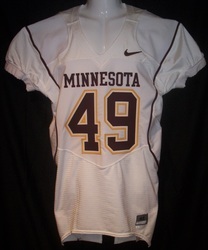 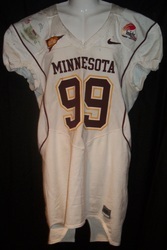 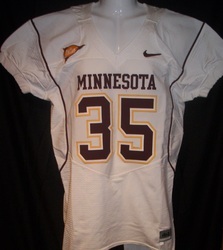 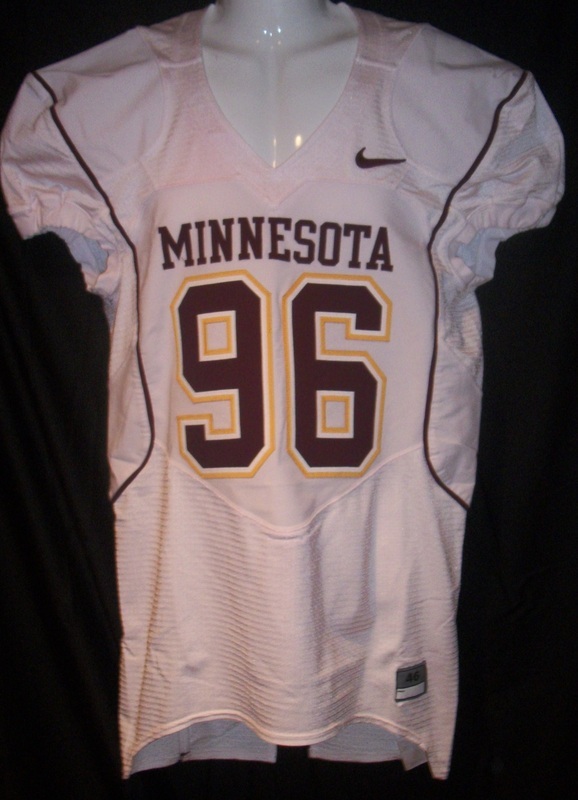 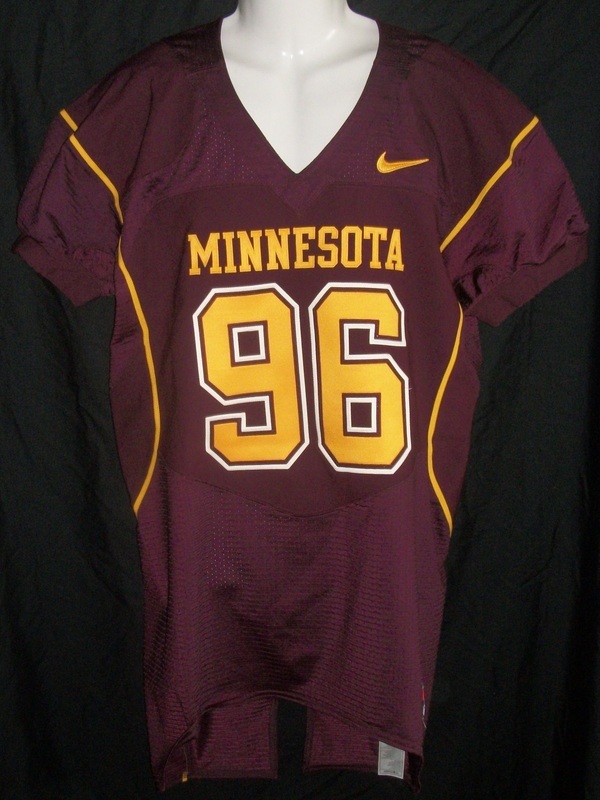 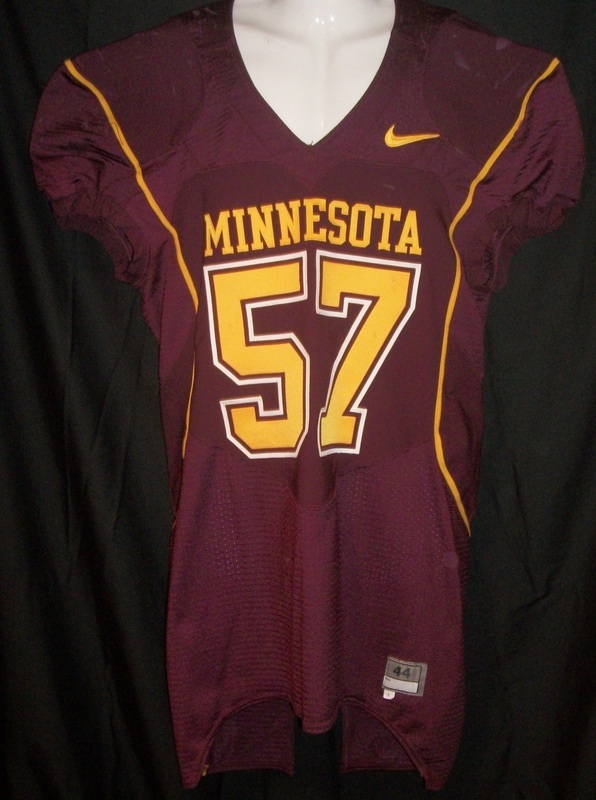 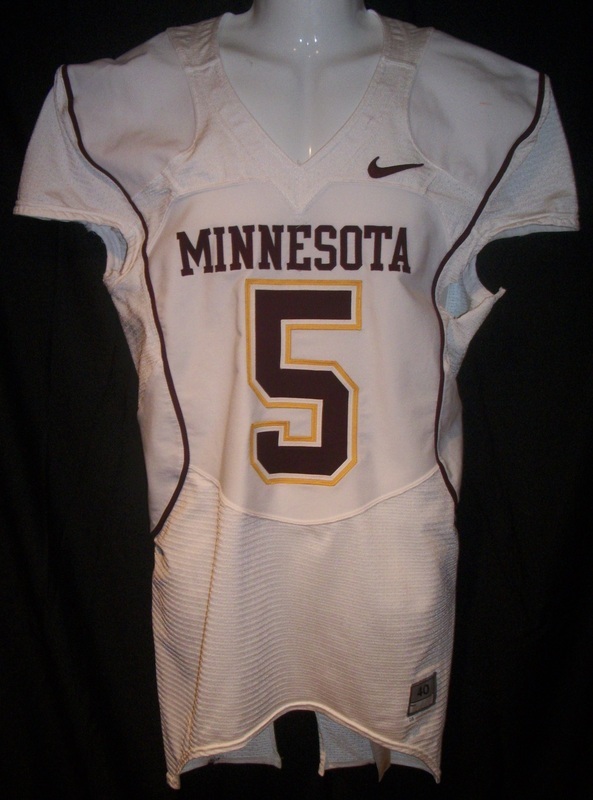 Minnesota Gophers 2010/11 Marqueis Gray away jersey. 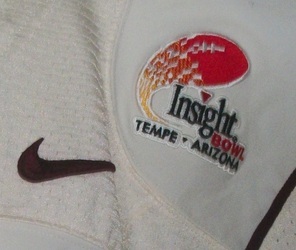 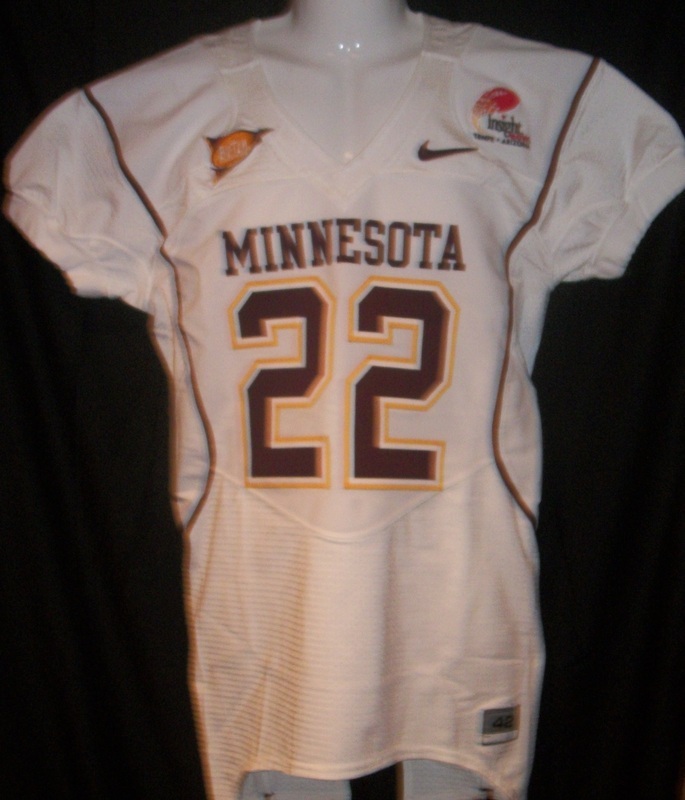 Minnesota Gophers 2009 Duane Bennett Insight Bowl jersey. 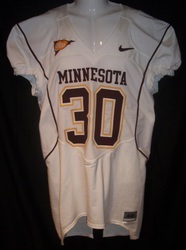 Minnesota Gophers 2009 Duane Bennett away jersey. 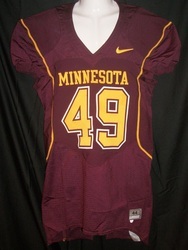 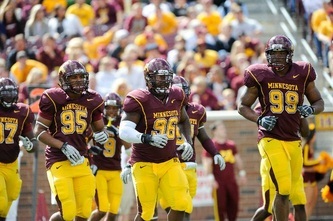 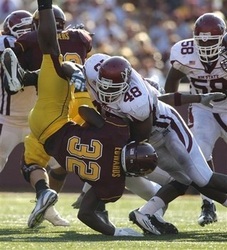 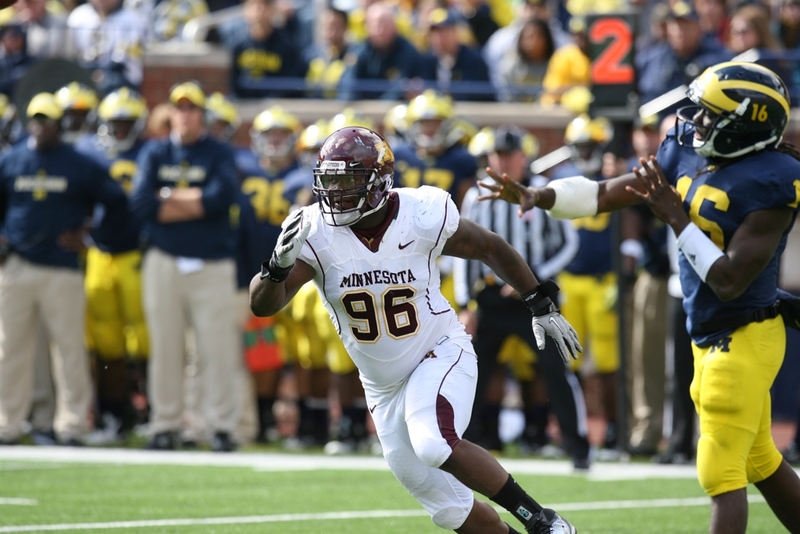 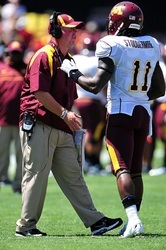 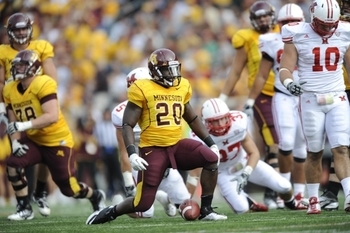 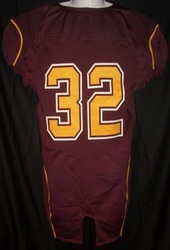 Minnesota Gophers 2011 Donnell Kirkwood home jersey. 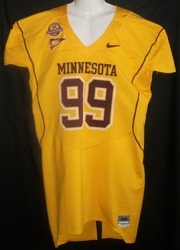 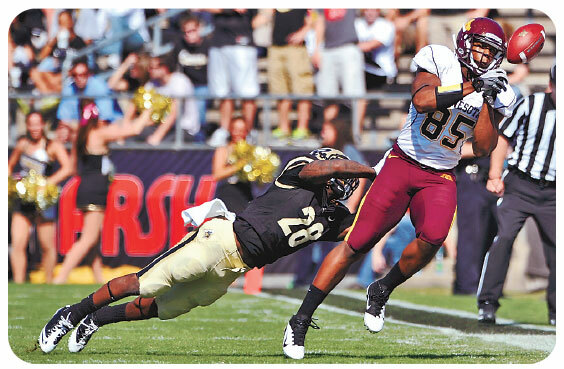 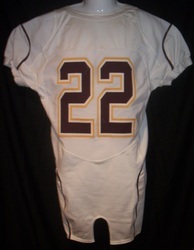 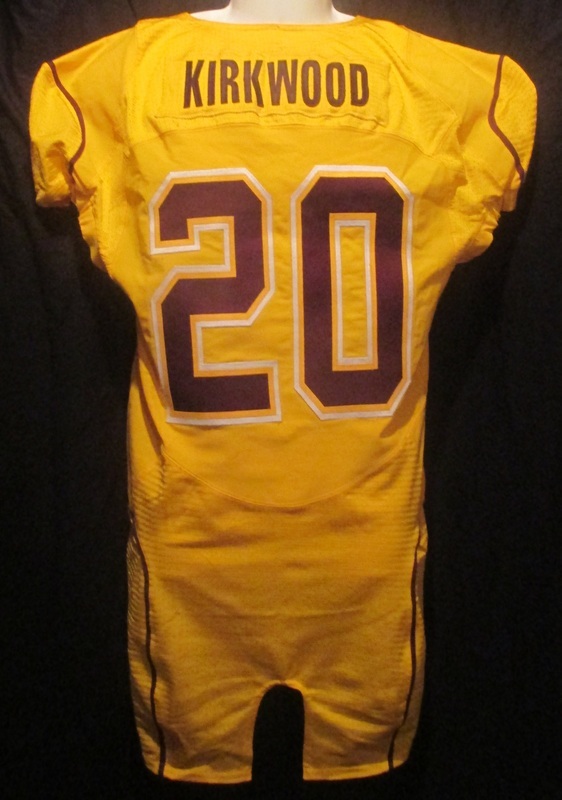 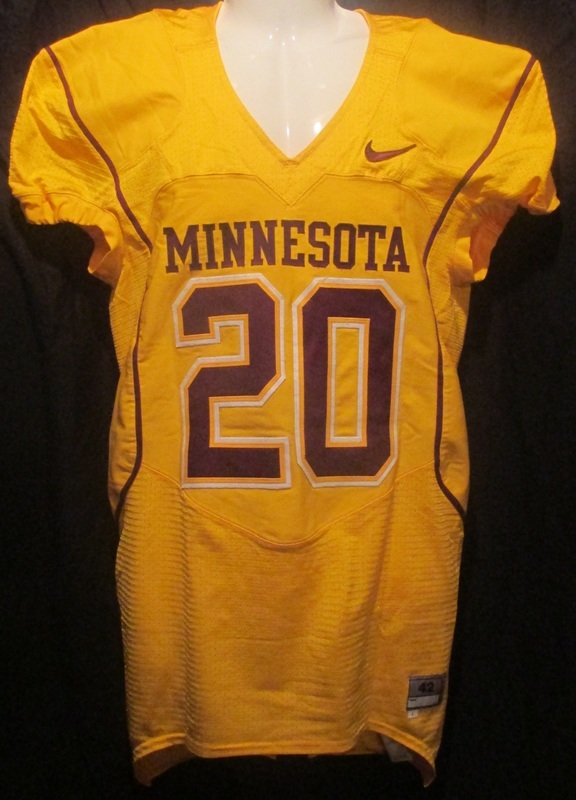 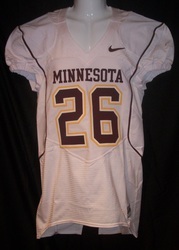 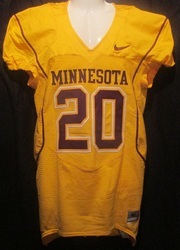 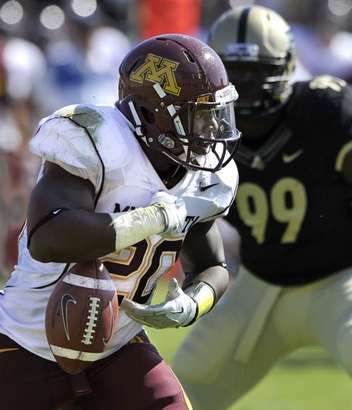 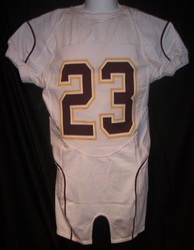 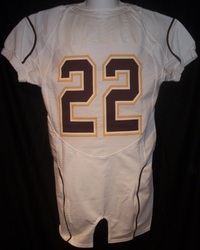 Minnesota Gophers 2011 Donnell Kirkwood gold alternate jersey. Minnesota Gophers 2010/11 Donnell Kirkwood away jersey. 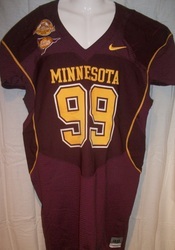 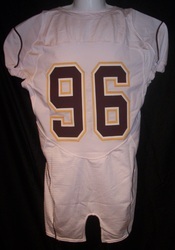 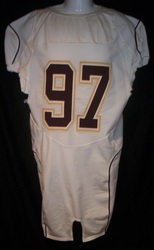 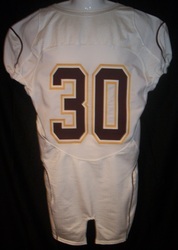 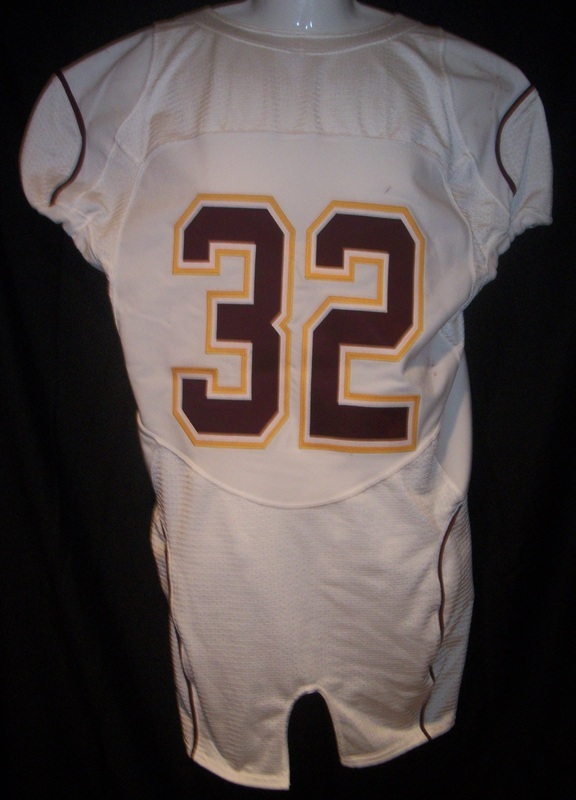 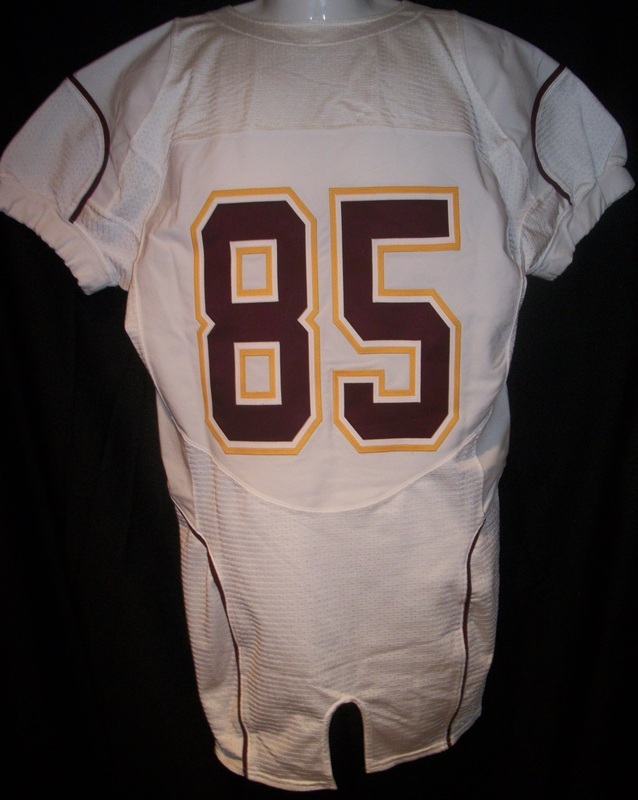 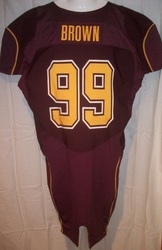 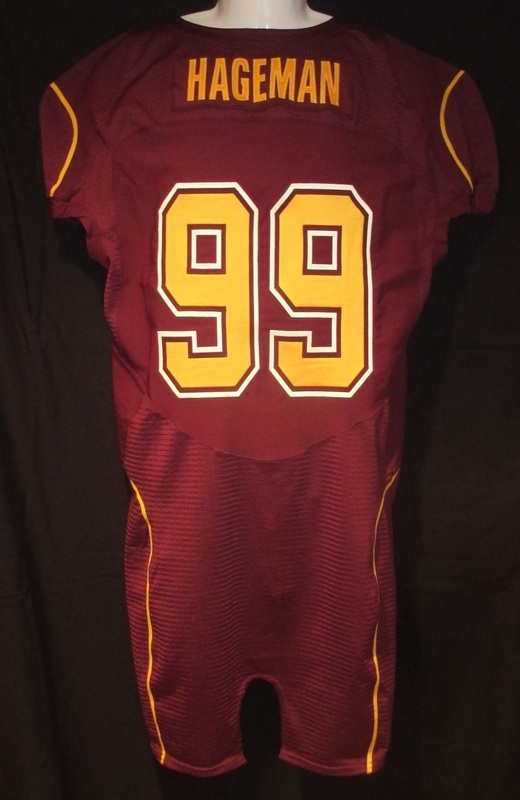 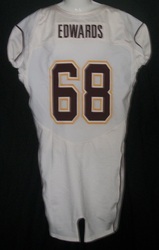 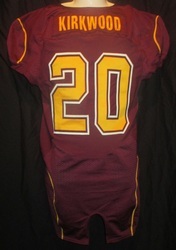 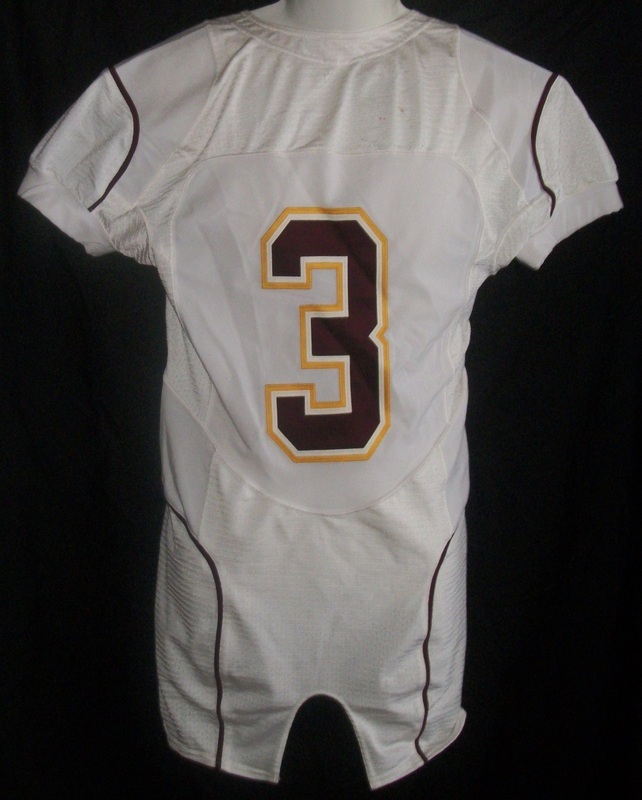 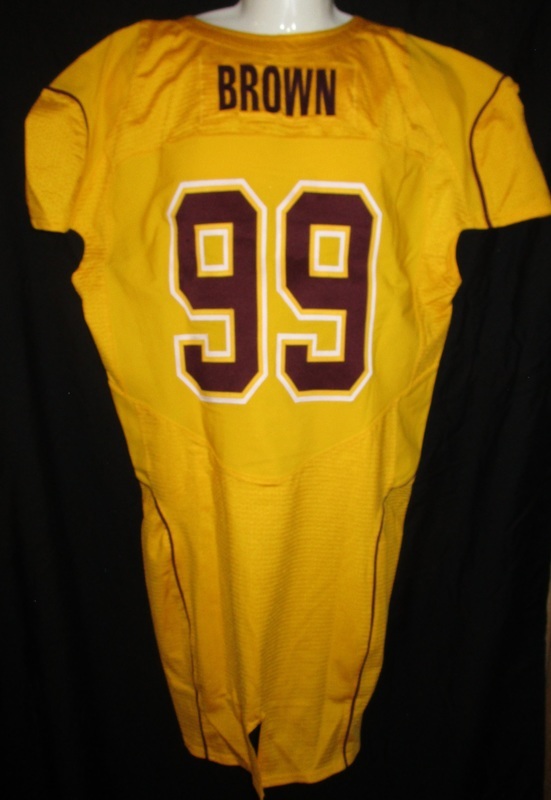 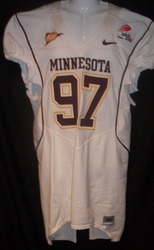 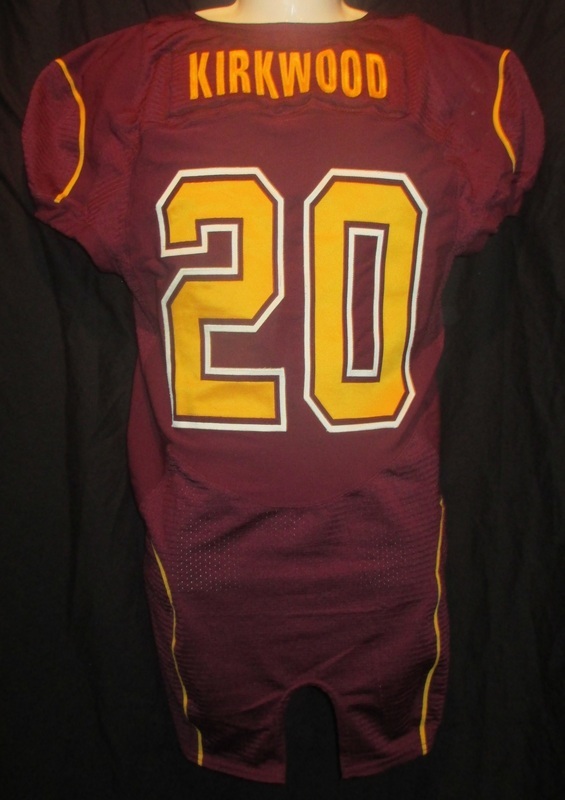 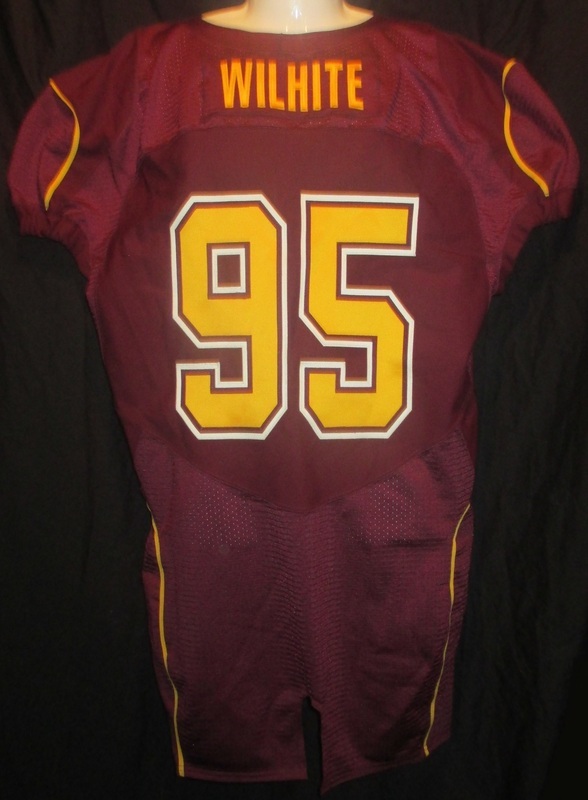 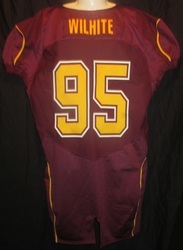 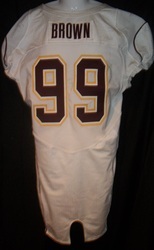 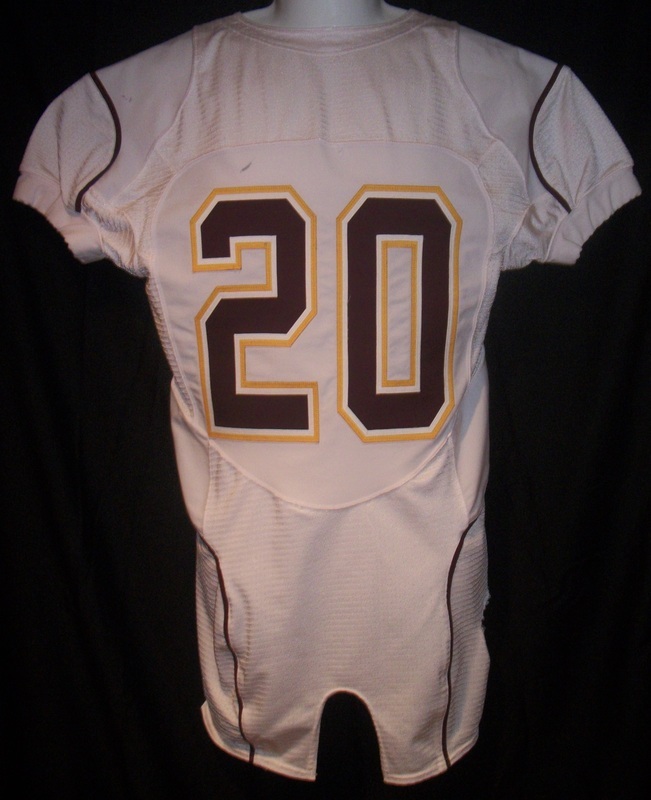 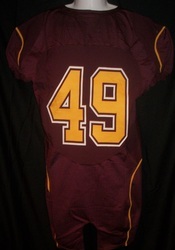 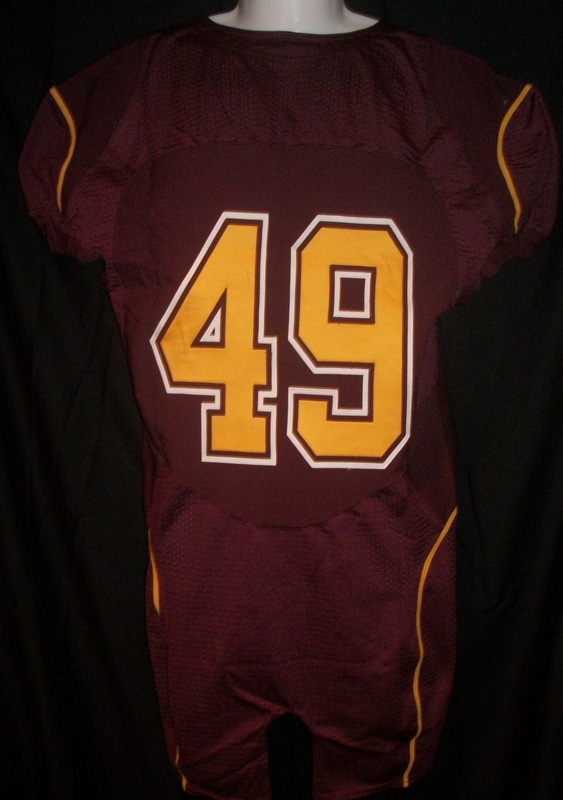 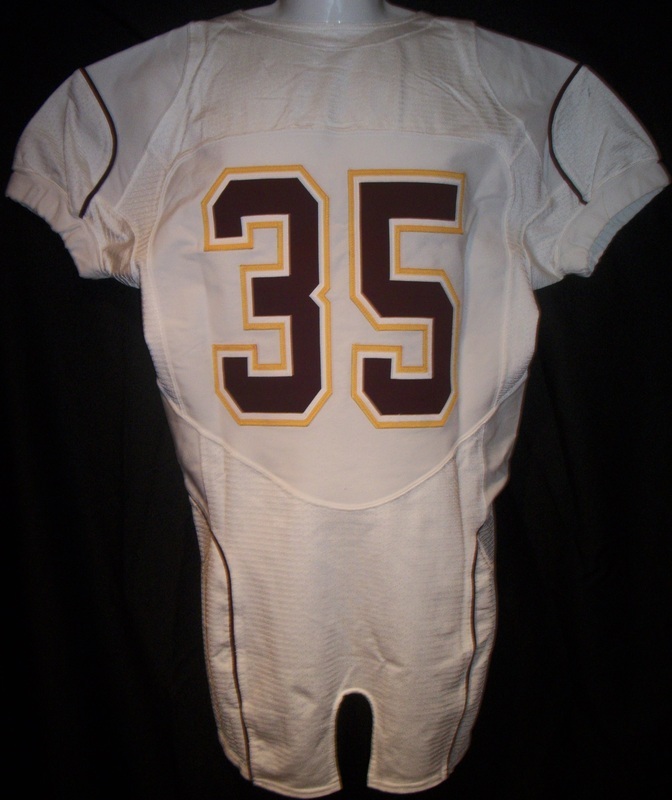 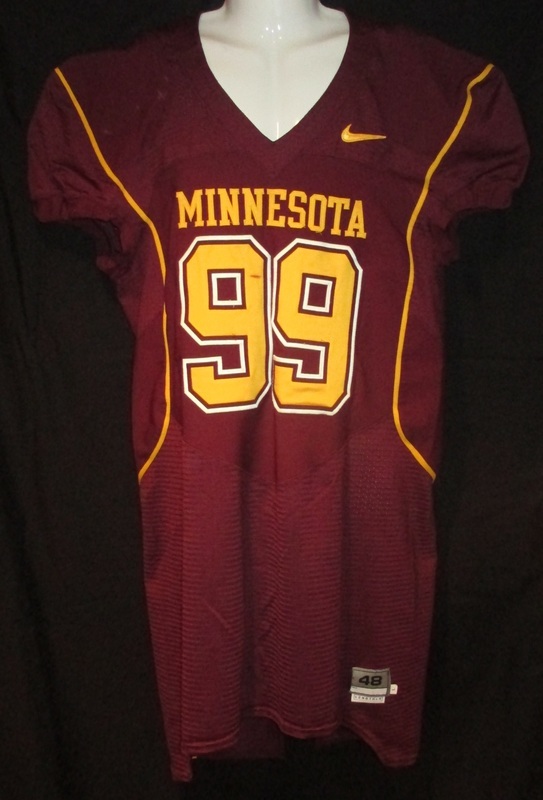 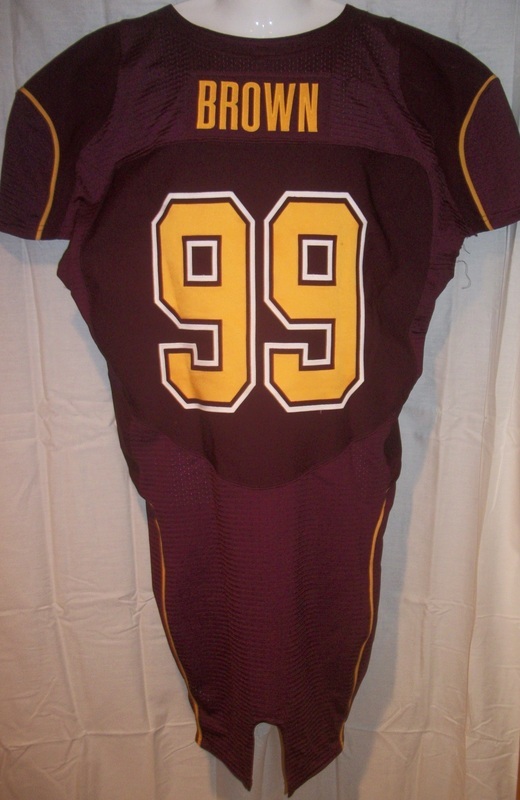 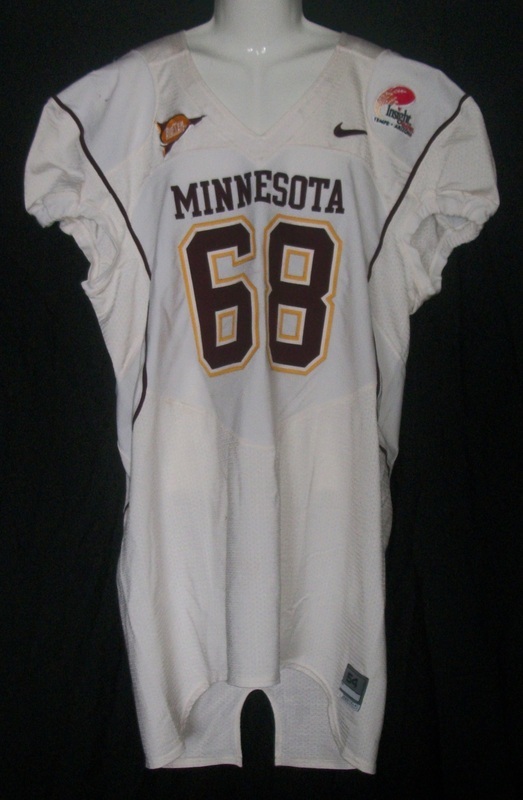 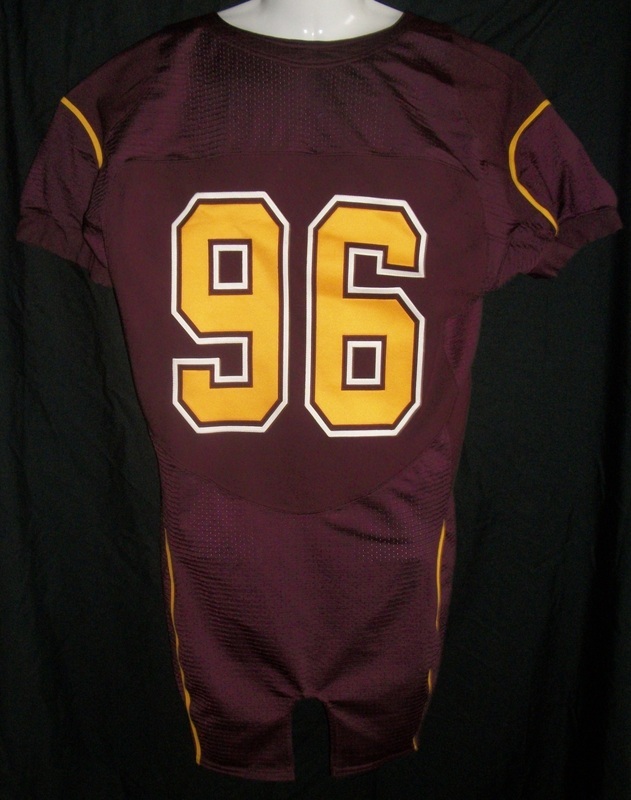 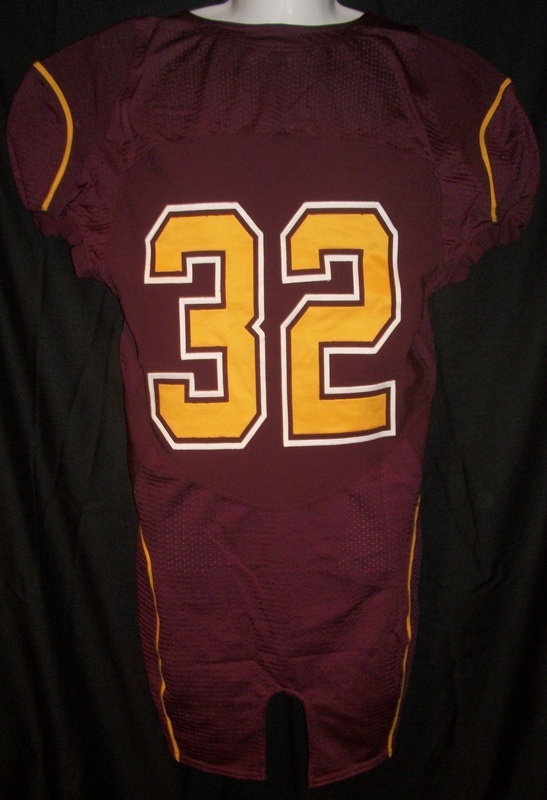 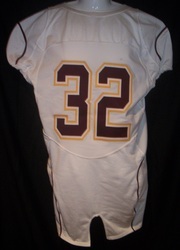 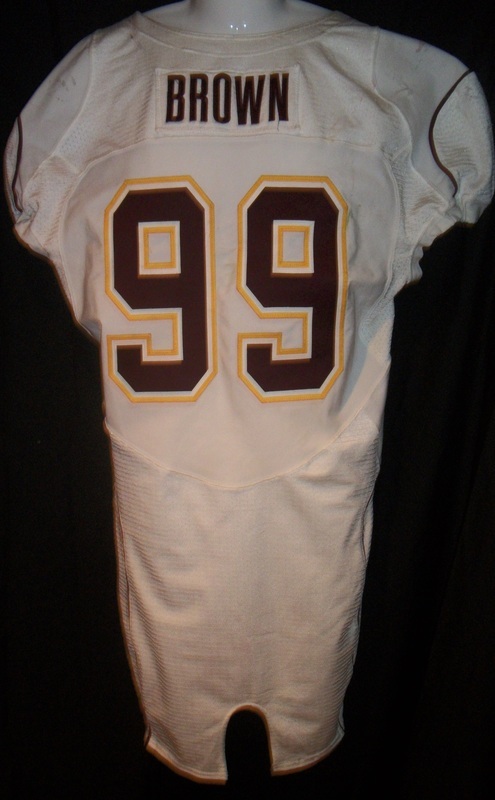 Minnesota Gophers 2010 DeLeon Eskridge away jersey. Minnesota Gophers 2009 Jon Hoese away jersey. 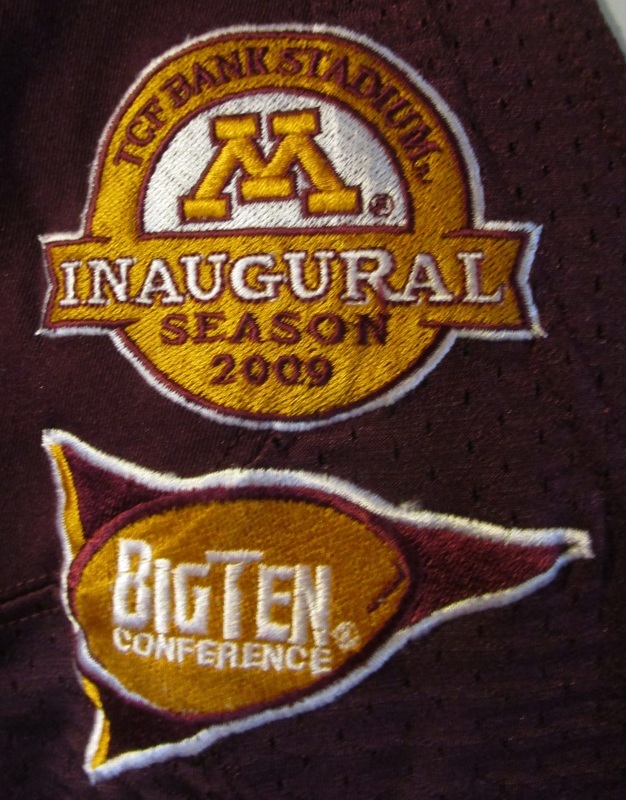 Minnesota Gophers 2010 Ed Cotton home jersey with TCF Bank Stadium Inaugural season patch. 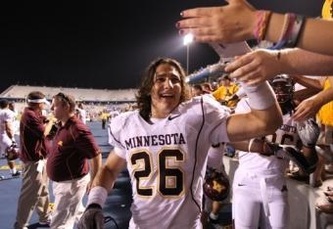 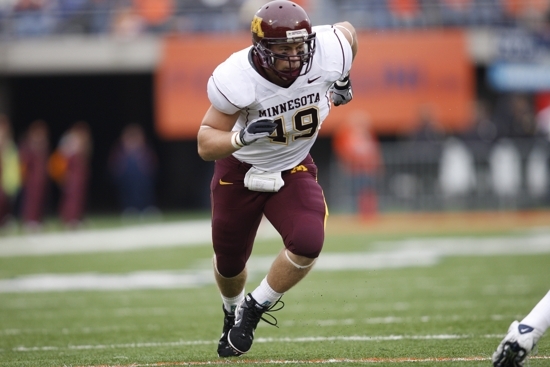 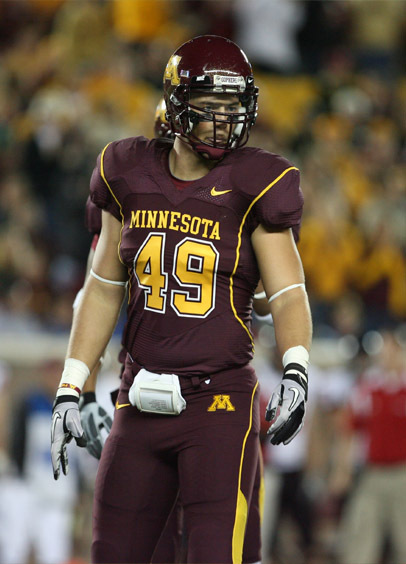 Ed was a walk-on Fullback that earned his first and only varsity letter in 2010, seeing action in 4 games. 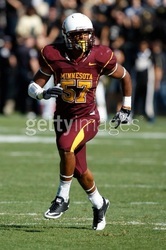 Minnesota Gophers 2011 Devin Crawford-Tufts away jersey. 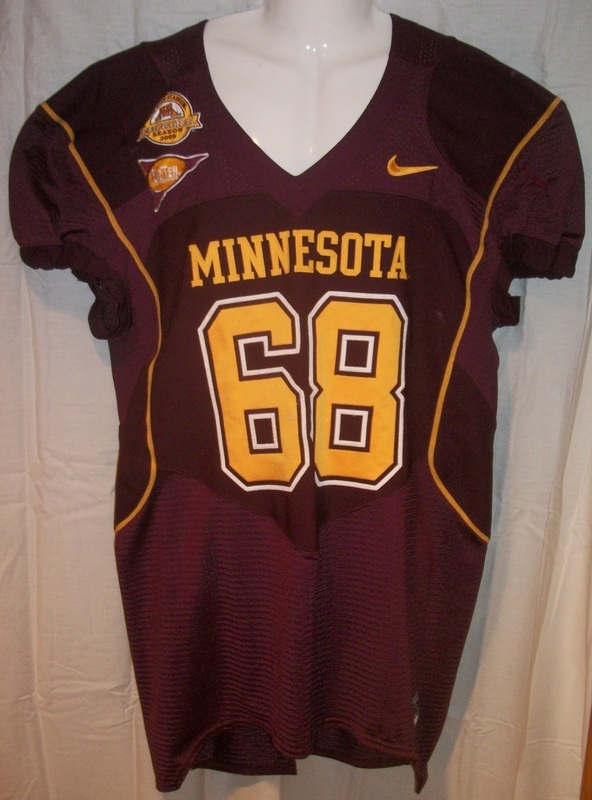 Minnesota Gophers 2008 Eric Lair away jersey. 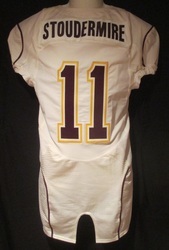 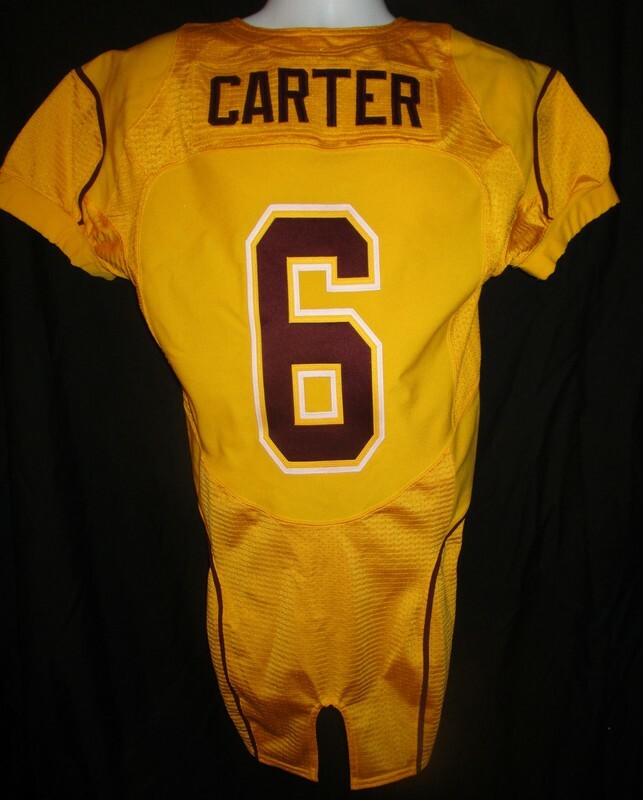 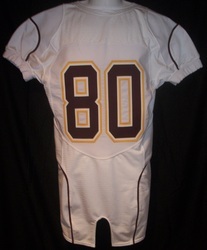 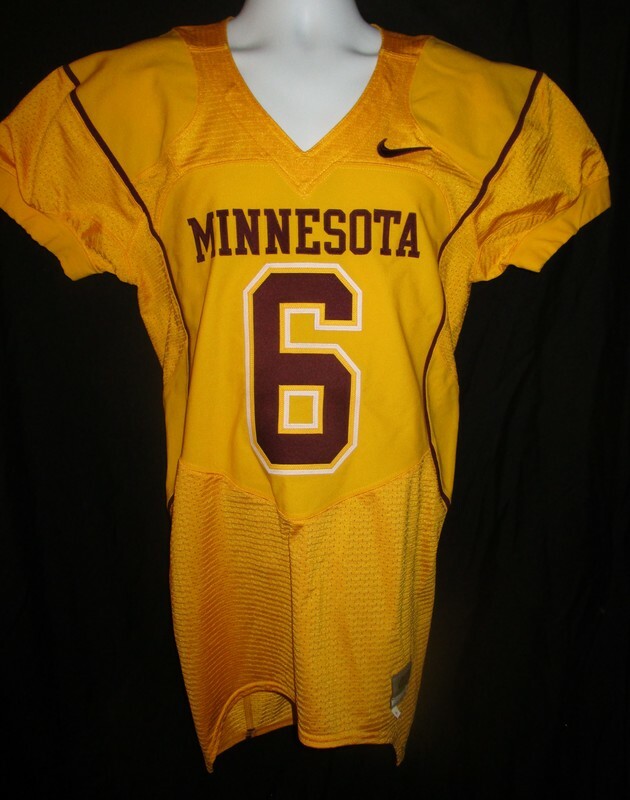 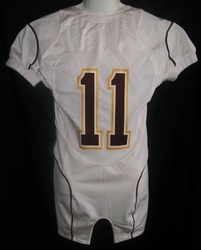 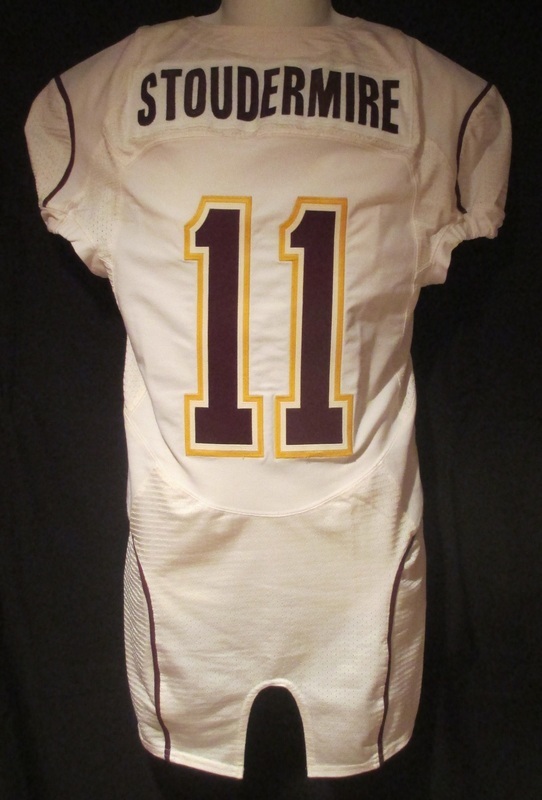 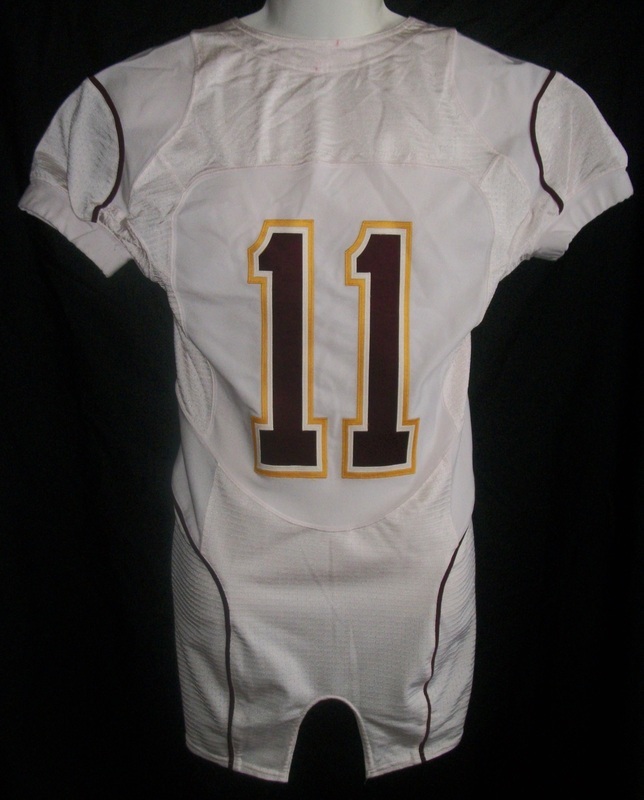 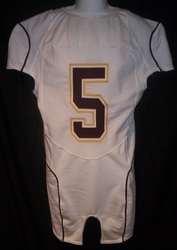 Minnesota Gophers 2010 Michael Carter alternate gold jersey. Minnesota Gophers 2011 Troy Stoudermire away jersey. 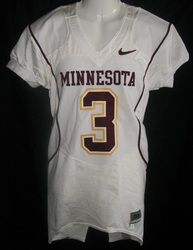 Minnesota Gophers 2010/11 Troy Stoudermire away jersey. 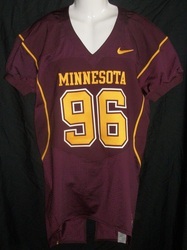 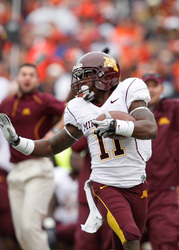 Minnesota Gophers 2010/11 Kim Royston away jersey. 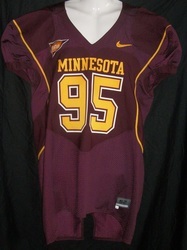 Minnesota Gophers 2010/11 Mike Rallis away jersey. 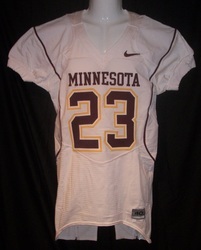 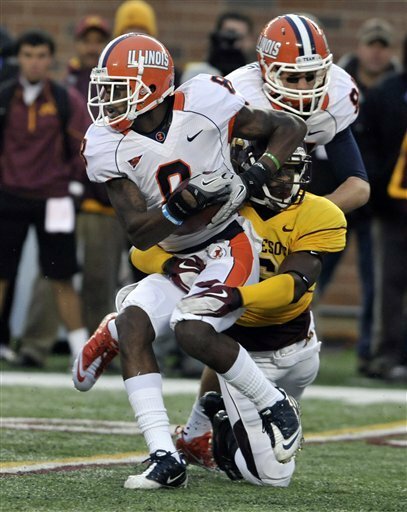 Minnesota Gophers 2010/11 Lamonte Edwards home jersey. 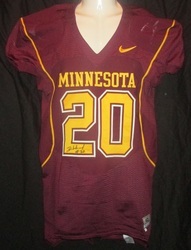 Minnesota Gophers 2010/11 Aaron Hill home jersey. 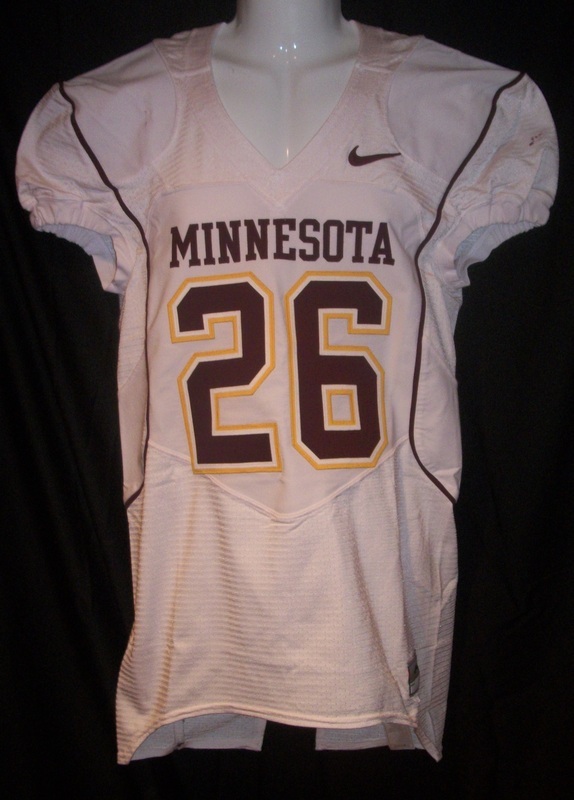 Minnesota Gophers 2008 Nate Triplett away jersey. 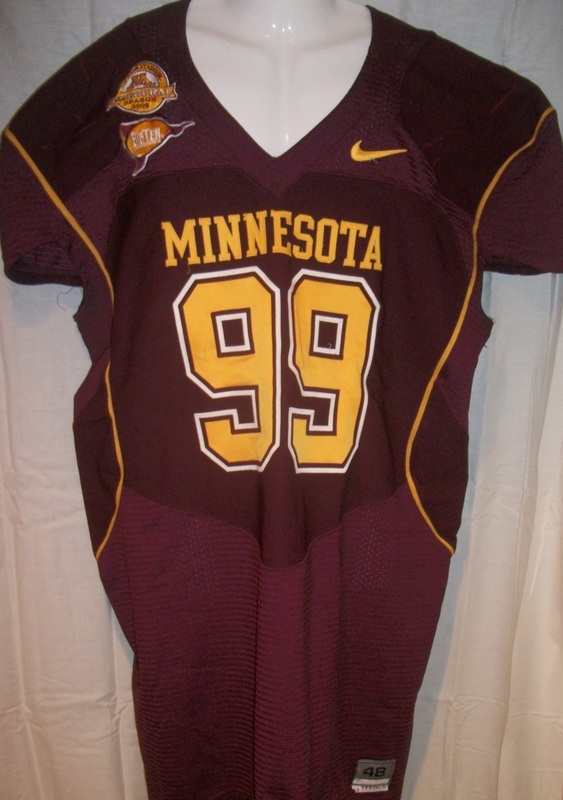 Minnesota Gophers 2009 Lee Campbell away jersey. 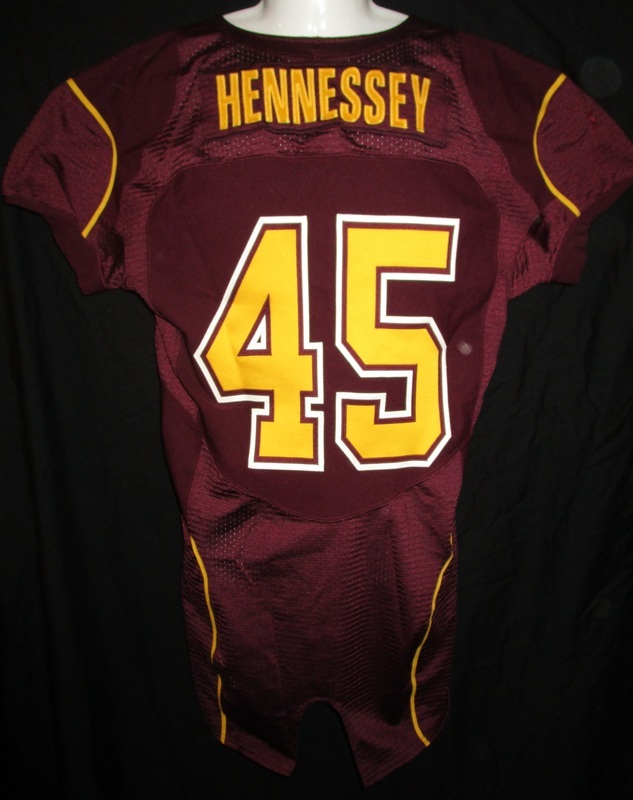 Minnesota Gophers 2008 Thomas Hennessey Insight Bowl jersey. 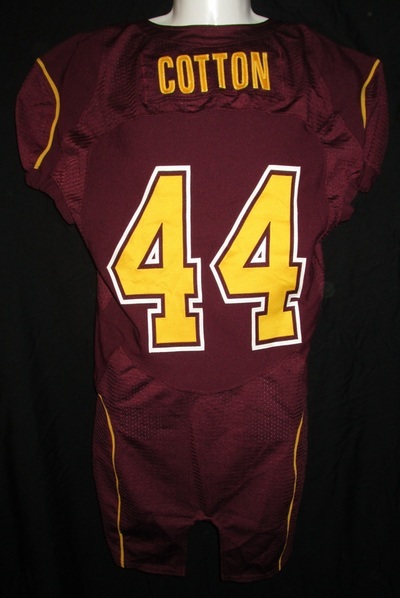 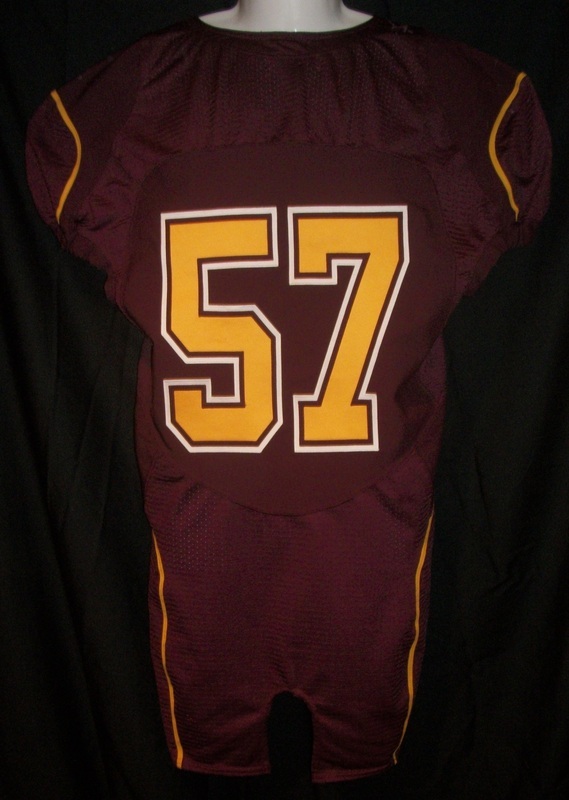 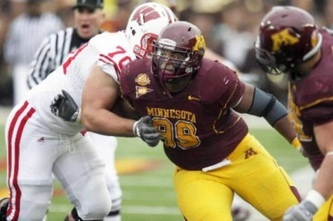 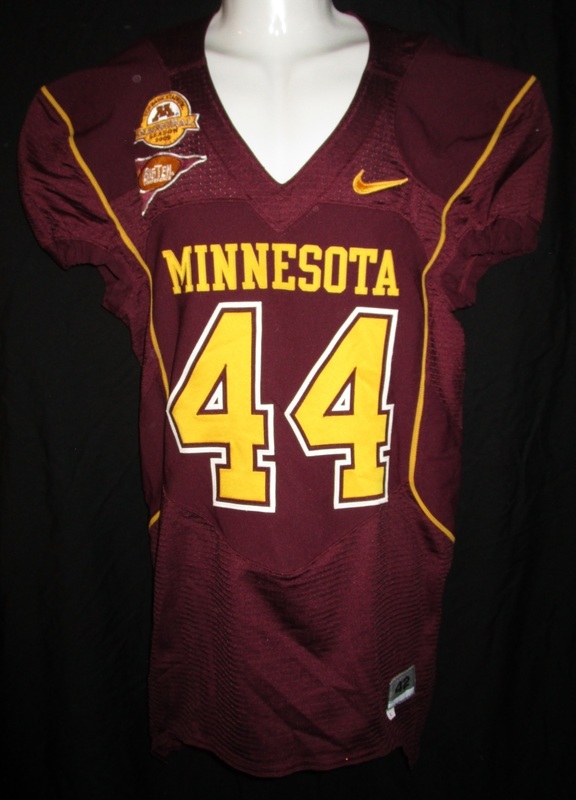 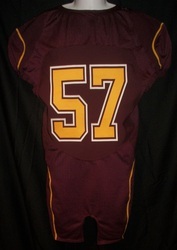 Minnesota Gophers 2011 Rashede Hageman home jersey. 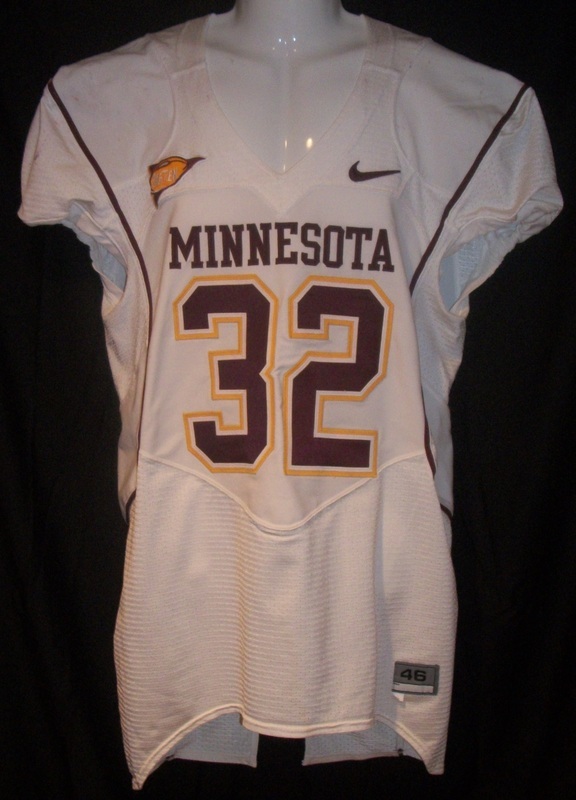 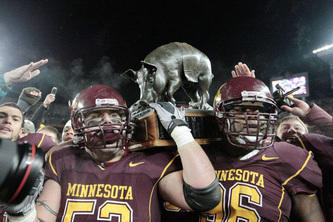 Minnesota Gophers 2010/11 Matt Garin home. 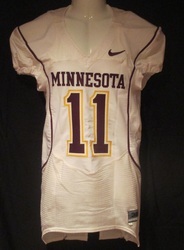 Minnesota Gophers 2010/11 Matt Garin away. 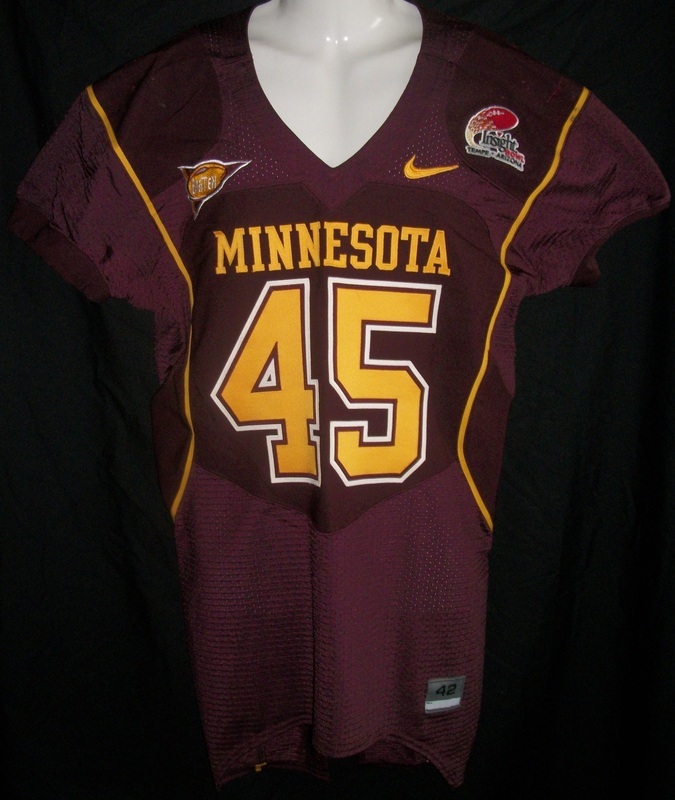 Minnesota Gophers 2010/11 Brandon Kirksey away jersey. 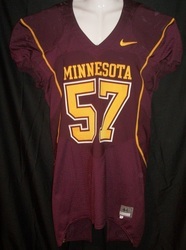 Minnesota Gophers 2010/11 Brandon Kirksey home jersey. 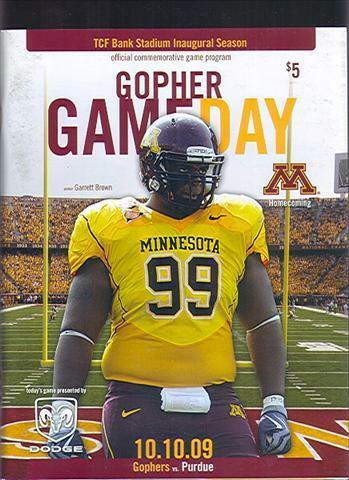 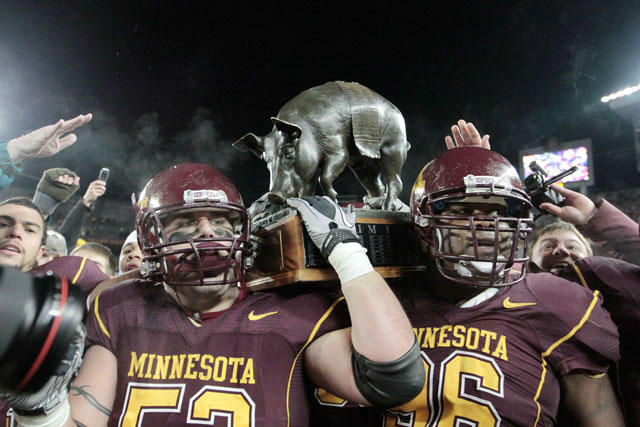 Minnesota Gophers 2008 D.L. 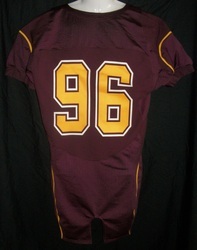 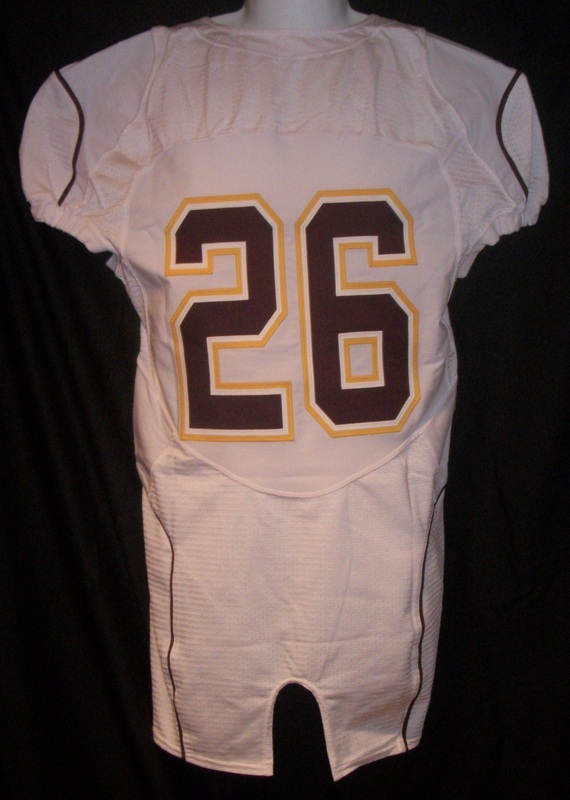 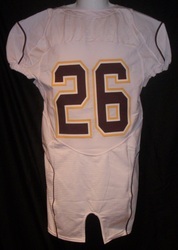 Whilhite redshirt freshman home jersey. 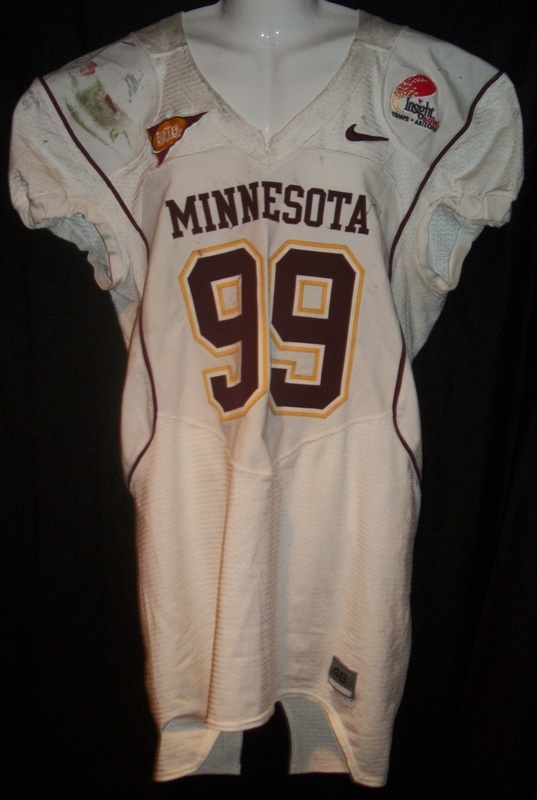 Minnesota Gophers 2009 Garrett Brown home jersey w/ TCF inaugural season patch. Minnesota Gophers 2009 Garrett Brown yellow alternate jersey w/ TCF inagural season patch. 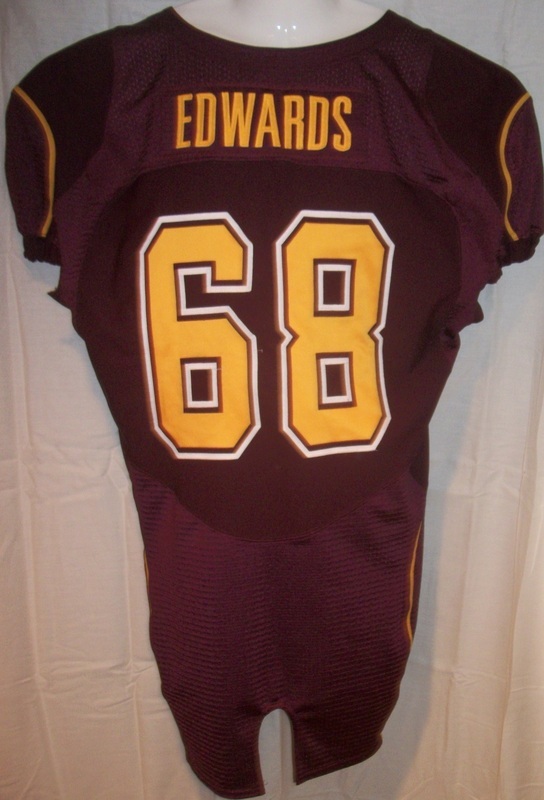 Minnesota Gophers 2009 Jewhan Edwards home jersey w/ TCF inaugural season patch. Minnesota Gophers 2009 Jewhan Edwards Insight Bowl jersey. Minnesota Gophers 2009 Anthony Jacobs Insight Bowl jersey.